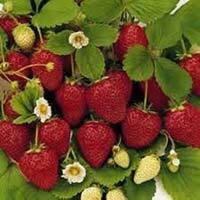 Delicious and nutrition-rich red colored strawberries are among the most popular berries. Native to Europe, however, nowadays the berries are widely all over the world. Strawberry is low in calories and fats but rich source of health promoting phyto-nutrients, minerals and vitamins that are essential for optimum health. It is an excellent source of antioxidant vitamin C.
Backed by our enormous industry experience, we are engaged in manufacturing and supplying superior grade Canned Strawberry . It is processed using innovative techniques under hygienic conditions at our modern infrastructural facility. Canned Strawberry is high in nutritional value and has a sweet taste. 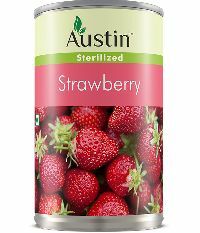 We offer Canned Strawberry in premium packaging in order to enhance its shelf life. Canned strawberries high quality frozen strawberries that are hand picked from our farms in mahabaleshwar and are frozen within hours to ensure the freshness and the delectable taste that has earned us repeated orders from our national and international clients. Av Food Processors Pvt. Ltd.